After the 4th of July firework celebrations and backyard barbecues, fried chicken fanatics can keep the spirit of the holiday going with an All-American favorite, because this Friday, July 6th, is National Fried Chicken Day and City Winery has a mouthwatering, not-to-miss special to honor the occasion. 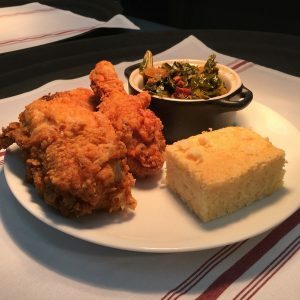 One of the top selling dishes since its opening in 2016, over 15,500 pieces of fried chicken have been sold at City Winery – the restaurant, urban winery, private event space and intimate music venue located at Ponce City Market. 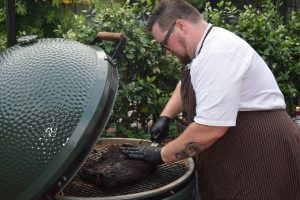 Whether dining in the Barrel Room Restaurant or grabbing a bite to-go, Executive Chef Nick Anderson is serving up a National Fried Chicken Day special that includes 8 pieces of fried chicken, a quart of cole slaw, quart of potato salad, and 4 biscuits for $30. Make extra because it will be worth it. Brine the chicken, This is going to help keep it from drying out and keep it tasty. Fry the chicken at 300 degrees for 10-14 minutes to make sure that it is properly cooked reaching an internal temp of 160F. Bread the chicken twice. Bread it once, then let it become sticky, then bread it one more time before frying it. – Blend everything together in a bowl with a whisk and then pour over the chicken before breading and fry. Chef Nick suggests letting it sit for 12 – 24 hours. – Use salt and pepper in the flour for the dredge. Put the first dredged chicken on a cookie sheet for an hour. After that hour, then dredge one more time and fry at 300 degrees for 12-14 minutes. Serve and enjoy! For more information, call (404) 946-3791, or visit citywinery.com/atlanta City Winery Atlanta is located at Ponce City Market, 650 North Ave NE, Suite #201, Atlanta, GA 30308.